Able to play as The Joker in eight Challenge Map which will be released as downloadable content on August 25th on the PlayStation Network. This DLC will be free. 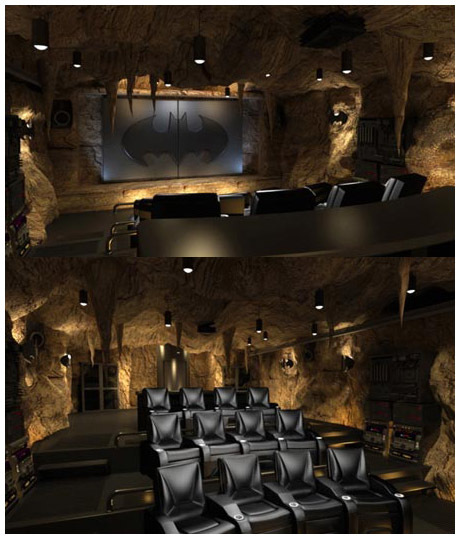 There will be a "Batman Arkham Asylum Batcave Outpost Apartment". Apparently, this will be only for PlayStation Home. It will contain items such as the Batsuit, Batmobile, and Batwing, along with various Bat-gadgets. This content on PlayStation Home will be free. The comic book "The Road to Arkham" will be given to PSP owners via download on the PlayStation Network. This comic will be free but will most likely NOT be able to be read by your PS3. The PlayStation 3 version of Batman: Arkham Asylum will use some elements of SIXAXIS Motion Control. The Batman AA: Space will be free, because you need the actual game disc to unlock it. Those who just want the space and not the game, I suggest just renting it for fun. All you'll have to do is insert the game into the ps3, make a save, and then go into home to download the space. Once you have the space downloaded, it's there for good. Also Another/different screen shot of the space. Note: I'm sure this info will more then likely change, and I will update it once I find out ore information. Load the game and start a new save file. Select your settings and difficulty. After the first 2 cutscenes, when you begin walking inside Arkham and the auto-save finishes, you may exit the game and launch Home. The outpost will unlock as you login during the purchased item verification.